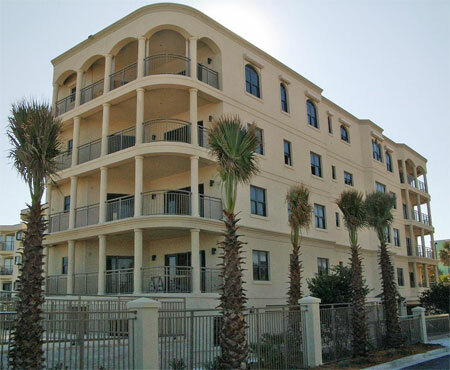 Avenue Four South condominiums in Jacksonville Beach, Florida. Avenue Four and Avenue Four South are unique oceanfront condominiums located on 1st Street South and 4th Avenue South in Jacksonville Beach. These two, 5-story buildings offer 4 exclusive homes per building, one residence per floor featuring 3,275 square foot of living space, 4 bedrooms, 4 full baths, one half baths, each bedroom with access to a balcony, library, fireplace, gourmet kitchen, stainless steel appliances, granite countertops, European cabinetry, wine cooler, breakfast nook, laundry room, private entry foyers, 2 car garages and storage unit for each residence with direct access to secured lobby, service elevator, social meeting room, oceanfront heated pool and spa. 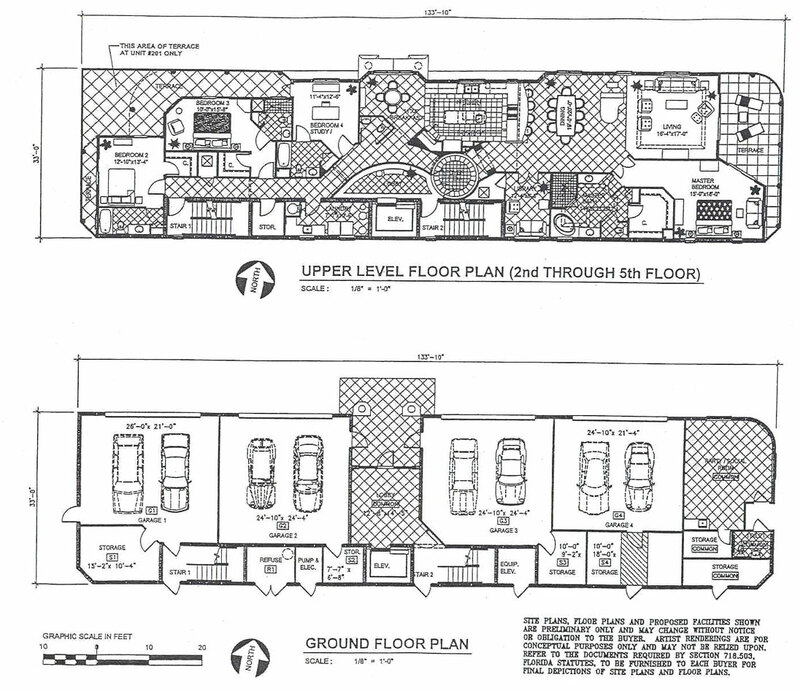 See floor plan. Completed in 2007, Avenue Four is conveniently located in the heart of Jacksonville Beach and is just steps away from the oceanfront park, amphitheatre, great restaurants and more. Other nearby points of interest include downtown Jacksonville's business and arts district, Ponte Vedra Beach, Amelia Island and historic St. Augustine.